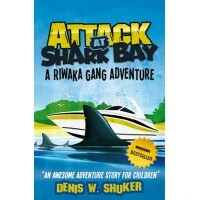 Another high-octane, rip-roaring adventure story for kids eight years and up. A holiday hiking trip becomes a terrifying adventure as four country kids; Jackson, Jessica, Rangi and Sam suddenly find themselves in the midst of a spine-chilling drama. They will need every skill they possess plus their knowledge of survival in the New Zealand mountains to escape - not only the perils of nature but also the dangers they encounter. With so many impossibilities, the odds are stacked high against them. Can they survive? The story is set in the mountains behind Riwaka (Ree-waaka), a quiet, seaside, country town in New Zealand - in the South Pacific. With odds stacked so high against them, how will they survive? 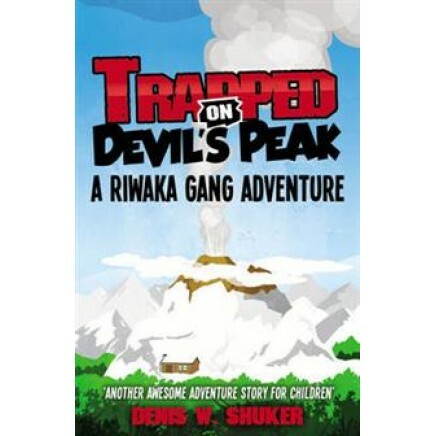 The second adventurous tale from the 'Riwaka Gang' series. For more in the series, click the 'Riwaka Gang' link above (in series).